6 experts. will be speaking. Starts at 9:30 AM. Following on from the success of the Adobe RIA user group meetings over the last few months, Skills Matter is pleased to organise the first Annual Flex on Java eXchange. 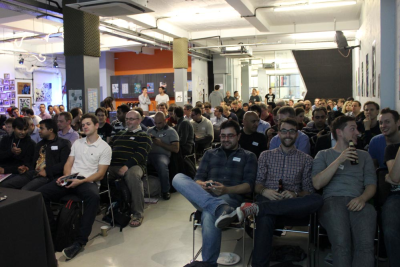 We hope to bring together the leading experts on RIA, Flex, Java, Spring and Groovy with London's JEE and web development community, for an informal day of deep technical insight and friendly discussion. The aim of the Flex and Java eXchange is to promote awareness and adoption of RIA and Flex related technologies, tools, plugins, best practices and innovative ideas for enterprise Java web development. Jeremy Grelle is a senior software engineer with SpringSource and the Spring BlazeDS Integration Lead will give the opening keynote of the Flex on Java eXchange. More information soon! What can Grails do for me? Building Flex Applications with Grails. This talk will introduce the Grails and Flex ecosystem, highlighting some benefits, architectural insights and lessons from real world projects. Spring ActionScript is an offshoot of Java Spring and brings Inversion of Control to the Flash Platform. Primarily focusing on Flex and AIR development, you'll learn how this framework can be used to build testable and maintainable applications. We'll take a look at the different kinds of configuration options, how it compares to Java Spring and what building blocks it includes to create tailored architectures. Christophe Herreman is the founder and lead developer of Spring ActionScript, an offshoot of Java Spring, which is an ActionScript 3.0 framework and Inversion of Control container that can be used for Flex, Flash and AIR development. Michaël will explain how Flex and Java coders can work together to ensure the success of Enterprise RIAs. You’ll see the new features in Flex 4, the integration of interactive designs produced in Flash Catalyst, advanced communications with Java using LiveCycle Data Services, Model-driven development and Live collaboration services. Michaël Chaize is an Enterprise Evangelist for Adobe. More information coming soon! Parsley is an IOC container for Flex, Flash and AIR applications. It has been around for several years now and started to gain wider adoption with the release of version 2 in June 2009. Its feature richness, extensibility and mature support for big and modular applications makes it an attractive choice for enterprise-scale development efforts. Jens Halm is an independent consultant currently based in London and Cologne, Germany. He has 16 years experience in software engineering, with the current focus being everything around the Scala stack. An Introduction to the Cocoa AMF Framework. Cocoa AMF is an Objective-C framework that allows developers to build iPhone and iPad applications that leverage the functionality of service layers based on BlazeDS and LiveCycle. We’ll look at the options for integrating enterprise iPhone applications in the new Flash-free world and some of the important services that LiveCycle offers iPhone developers. Jeremy Grelle is a senior software engineer with SpringSource and the Spring BlazeDS Integration Lead will give the opening keynote of the Flex on Java eXchange.